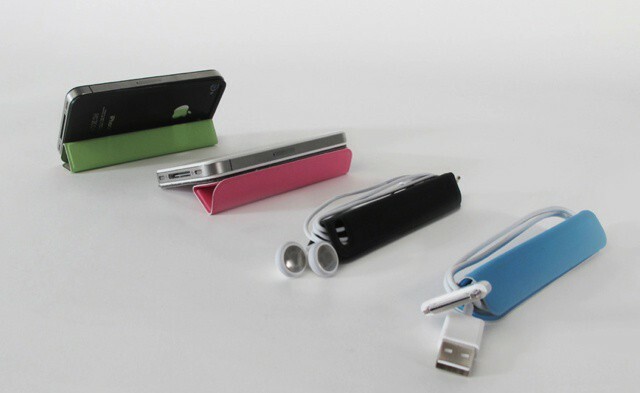 TidyTilt is a nifty earbud cord wrap, multi-position kickstand and mount for iPhone 4 and iPhone 4S that looks a lot like Apple’s iPad Smartcover. The brainchild of Zahra Tashakorinia and Derek Tarnow, students at the IIT Institute of Design in Chicago, TidyTilt was so popular that its massive overfunding on Kickstarter turned their little project into a business. TidyTilt for iPhone HD from TidyTilt on Vimeo. Tashakorinia and Tarnow had originally asked for $10,000 but by the end of the campaign had 4,000 backers pledging $223,000. It’s the latest Apple-related breakout product that started seeking relatively modest funds on Kickstarter; Casey Hopkin’s slick Elevation Dock recently drummed up $1.4 million. Cult of Mac: You started out asking for $10,000 to fund the project but got over $220,000 – now what? TT: We definitely weren’t prepared for the incredible response we got on Kickstarter! When we first launched the product we were unsure if we’d even reach the $10,000 goal. We initially expected to fulfill orders ourselves from our homes, but are now looking at utilizing a fulfillment center to get all of the packages shipped out in a timely manner. Cult of Mac: So when will people be getting them? TT: We hope to get the first TidyTilts shipping in March to Kickstarter backers. We’re currently finishing up testing on several different adhesives so we can pick the best one for long life, strength, and clean removability from the back iPhone glass. As soon as we do, we’ll place the order with our suppliers to begin production. Cult of Mac: You two are unabashedly “Macs,” what’s your work set up? TT: We both use Macbook Pros (15″ & 17″) as our primary systems. In terms of software, we regularly use AutoCAD, Rhino, CS5 and iMovie.